The Green Village provides an environment where universities and businesses can develop, test and demonstrate their innovations without these concerns, with close involvement of the public and government. 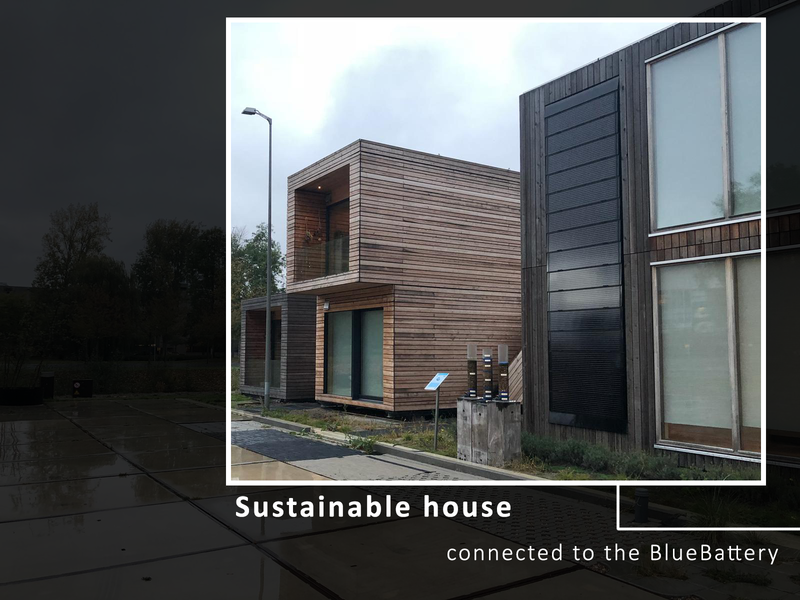 The Green Village is an initiative of Delft University of Technology and Stichting Green Village. The battery will store the excess renewable electricity of solar panels which enables the residents to use renewable electricity day and night! 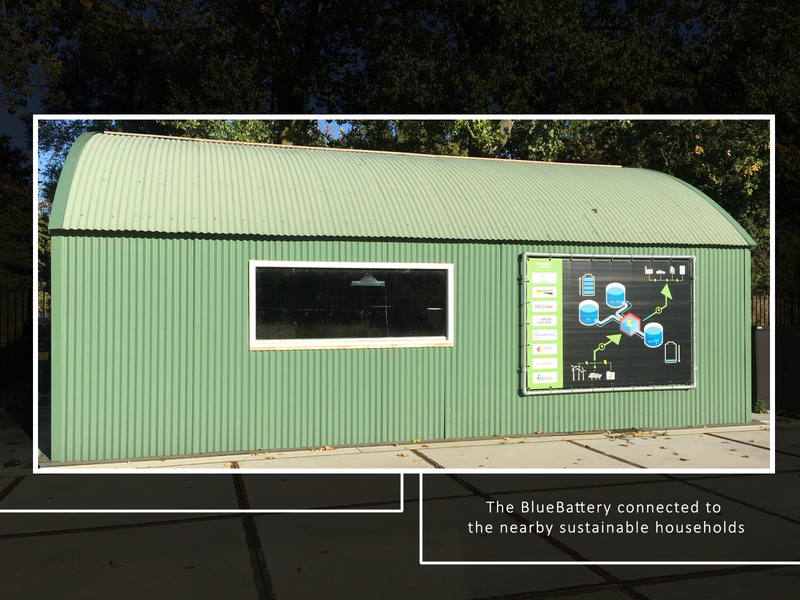 This pilot project is the first BlueBattery at a large scale. 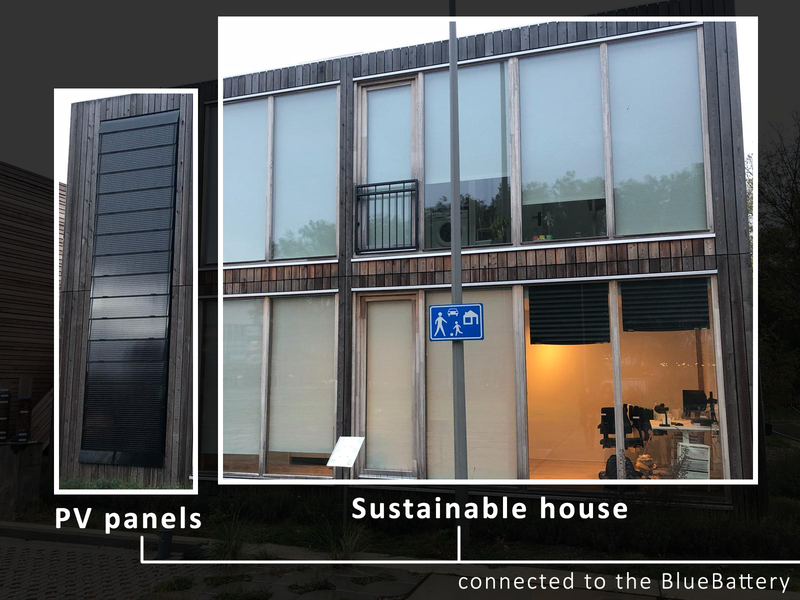 To make sure the system remains as efficient as at the lab-scale we had to scale up every component (such as membrane stacks, pumps, tubings, electrical wirings and control systems) independently and integrate those in the BlueBattery at the pilot location.